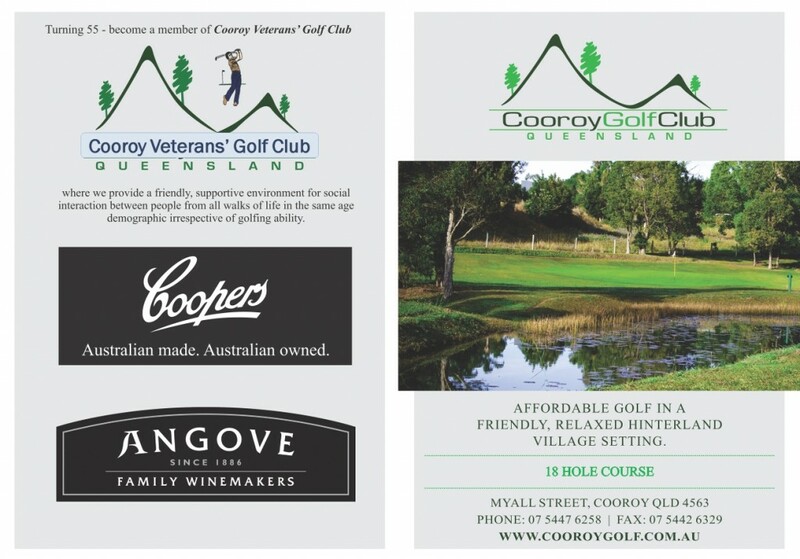 Cooroy golf course started life in 1936 as a 9 hole layout. In 2005 a second 9 was opened to provide what is now an 18 hole layout. The layout is not a conventional 9 + 9. We like to say we are a little different – you play all the way out and then play all the way back in, similar to St Andrews. 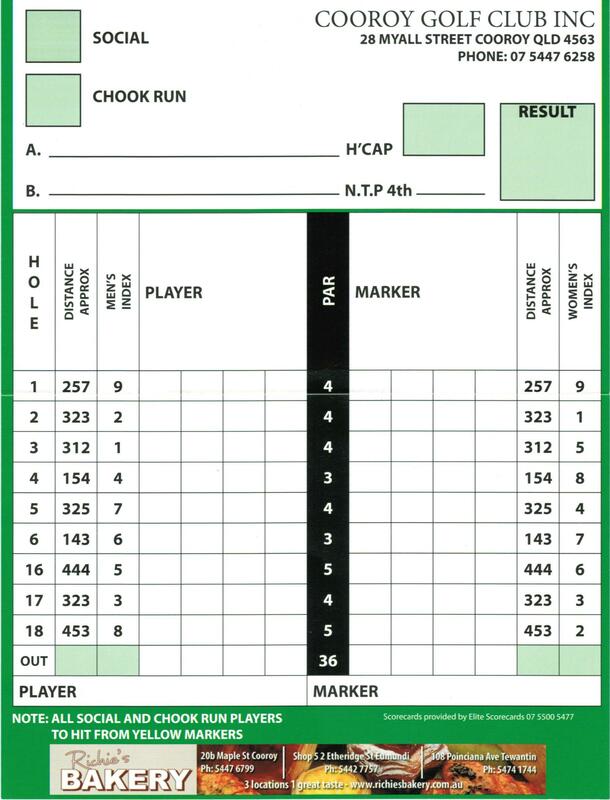 The layout for a round of 9 holes takes in holes 1, 2, 3, 4, 5, 6, 16, 17 and 18. Strategically placed cart paths and upgraded drainage makes the course less susceptible to wet weather. With 3 par 3’s, 6 par 4’s and tree lined fairways playing straight is a good strategy on the 1st 9. Notable holes are the 3rd and 4th. The 3rd is a par 4 dog leg left with the fairway sloping left into trees hiding a water hazard all the way to a generous green with severe surface contours . The back and right side of green falls away steeply. Favour right centre approach with slight draw. The 4th is a flat tree lined par 3 with water hazard on right and to rear. Bunkers left, right and rear protect a small green with moderate contour. Favour left centre approach with slight fade. 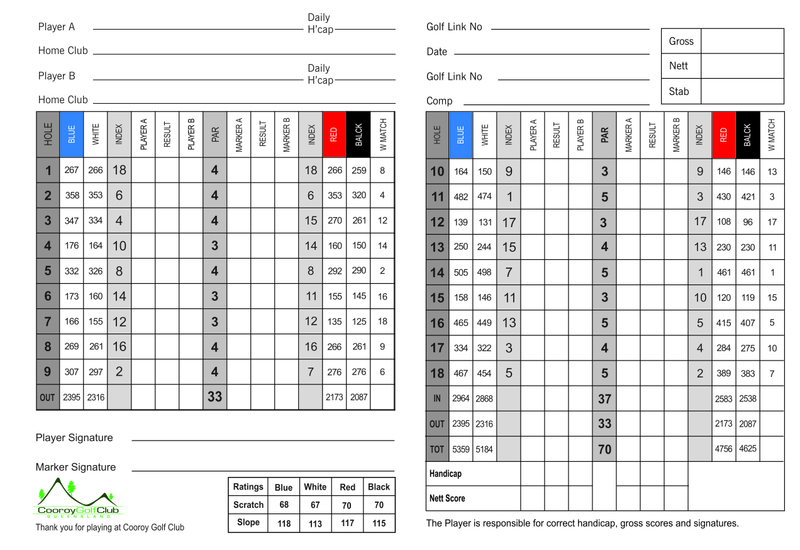 The 2nd 9 is longer and more difficult with 3 par 3’s, 2 par 4’s and 4 par 5’s. There are fewer trees but wayward golfers will encounter watery surprises. Notable holes on the 2nd 9 are the 11th and 15th. Our own ‘Amen Corner’ (left). The 11th is a long par 5, slight dog leg left, lightly treed with out of bounds left and generous bailout area on right. Blind second shot to layup area short of a green protected in front by a water hazard. Out of bounds left and rear of a green with medium surface contours. 2 long shots and an accurate approach shot required. Lay up shot takes water out of play – too bold a shot will find long grass outside fence. The 15th is a down hill par 3 with out of bounds left and water hazard 50m short of a large raised, but narrow, lateral green with green side bunker to right. Area in front of green falls away to water hazard. With trees encroaching from the left and right at the water hazard, favour a centre approach or layup short of water hazard. click here for an aerial view of The Course. 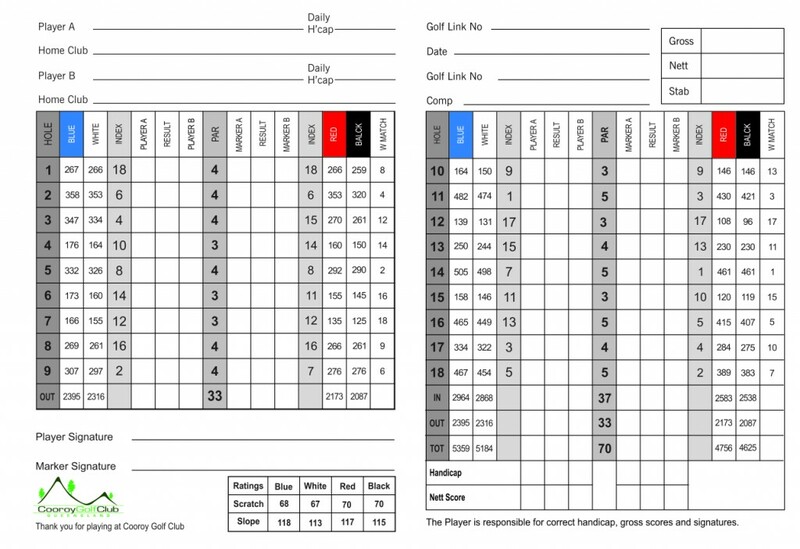 Our Hole by Hole description with Playing Tips will guide you around the course. click here for Local Rules. There are four main areas of etiquette, which are Course Care, Safety, Consideration for Others, and Pace of Play. For more information on each of these click on the following.